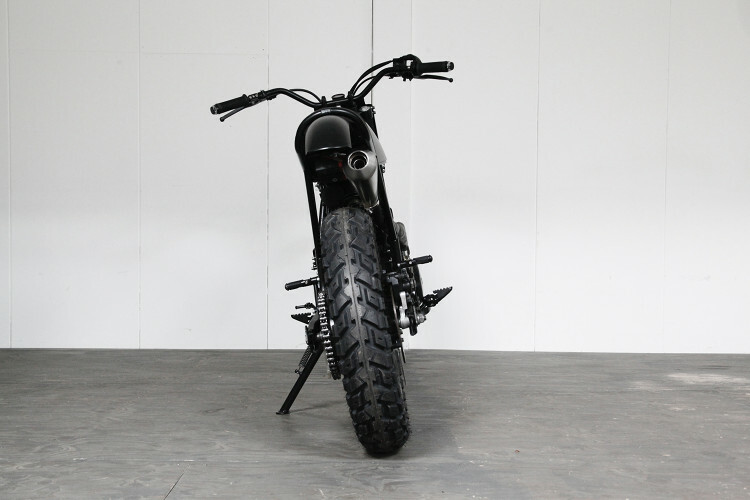 Boy Janssen of Pancake Customs is a full-time, self-taught builder who builds original, high-quality customs out of his small shop in Rheden, in the east of The Netherlands. 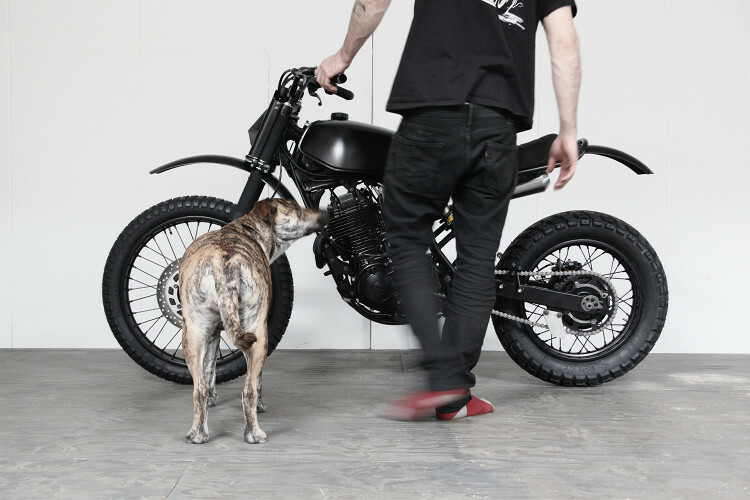 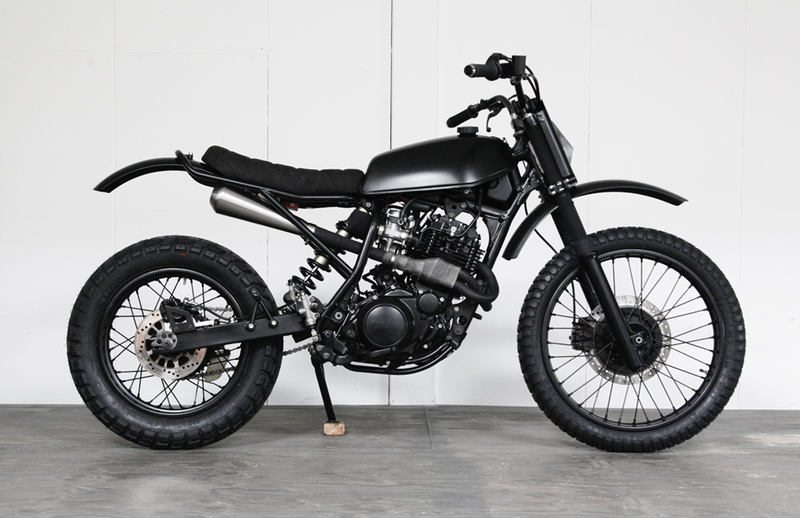 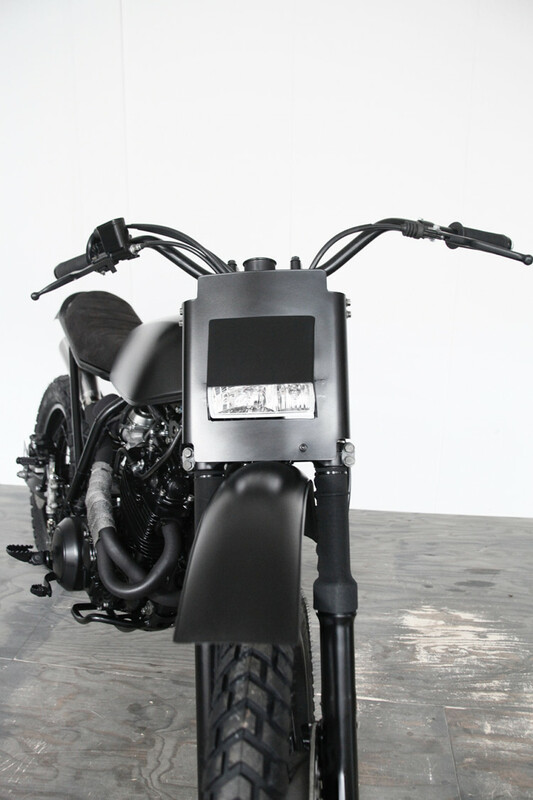 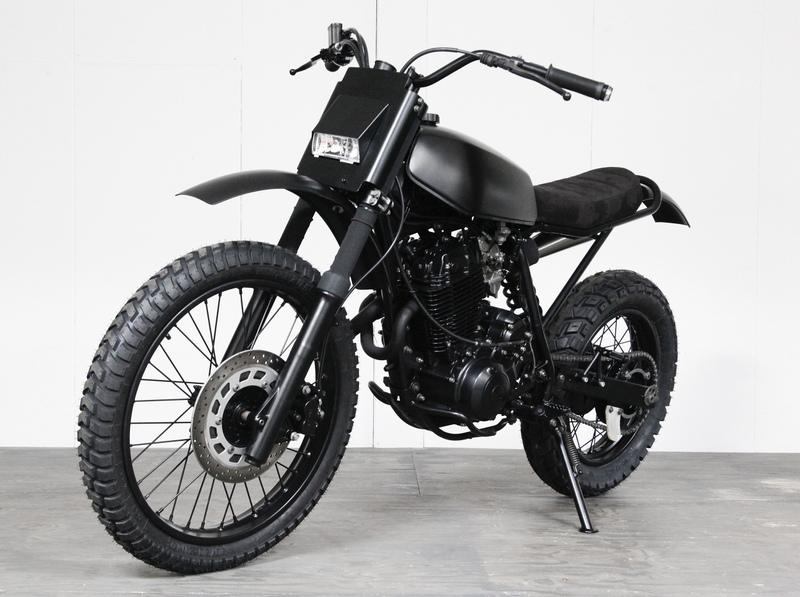 The blacked-out machine you see here is his latest customer build, built from a 1996 Yamaha XT600E. 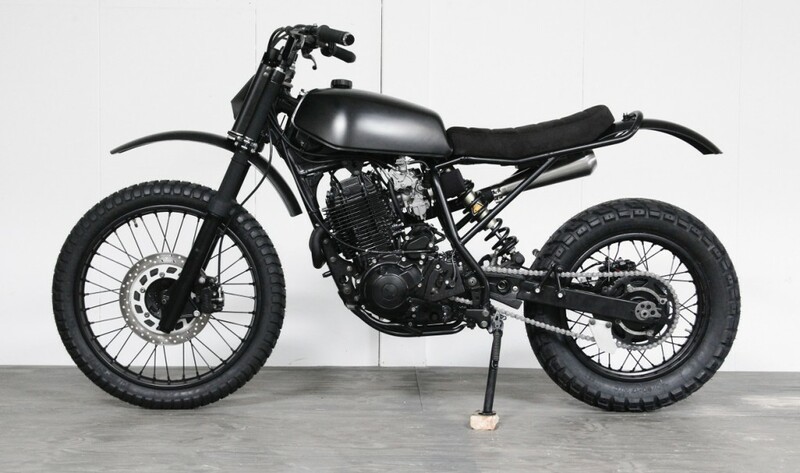 The Yamaha XT600 was one of the most popular enduros of all time — a bulletproof thumper built to take on a vast array of terrain. 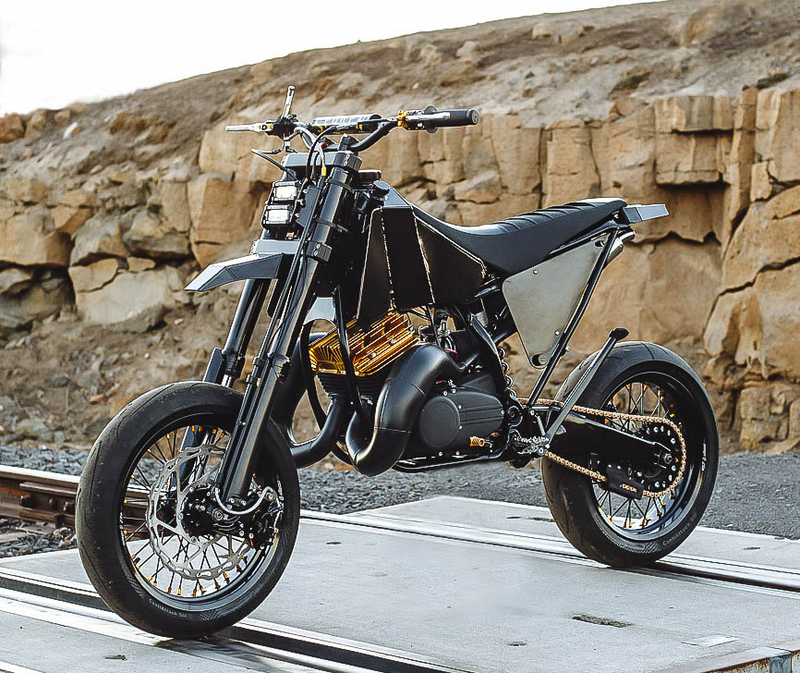 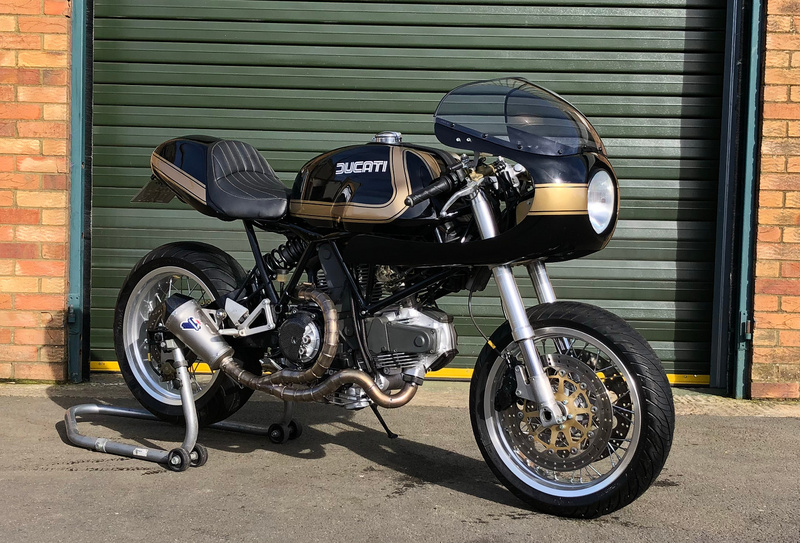 Fittingly enough, Boy decided to build an “all-purpose stealth scrambler on which even James Bond would be stoked to ride.” The end product is a machine that’s hard to define — part tracker, part scrambler, part desert sled — but which would certainly fit 007’s needs quite well, whether he was motoring to a cocktail party in a bespoke suit or shooting across a desert under cover of night. 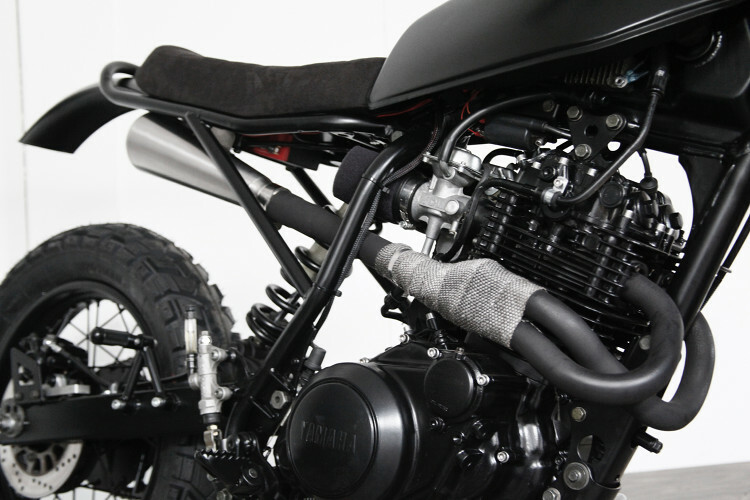 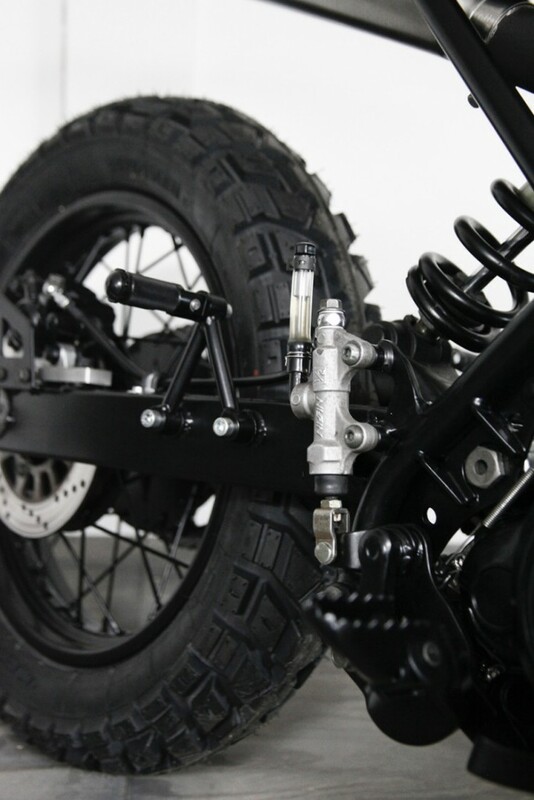 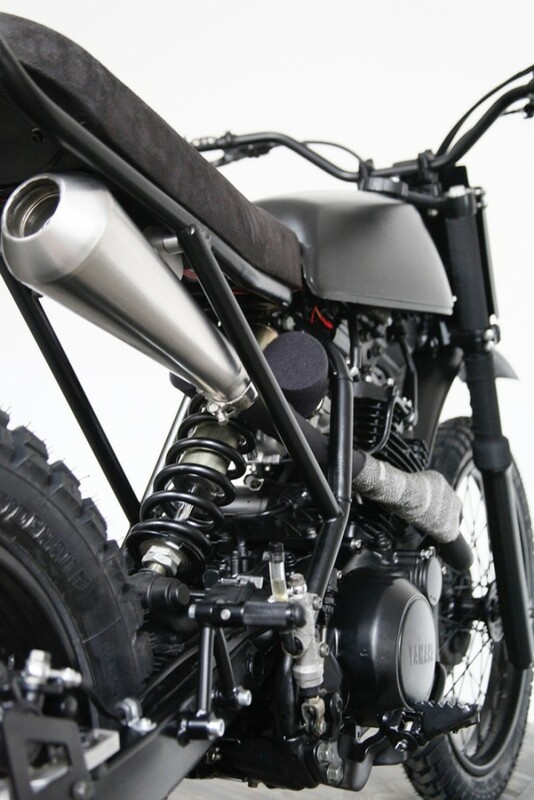 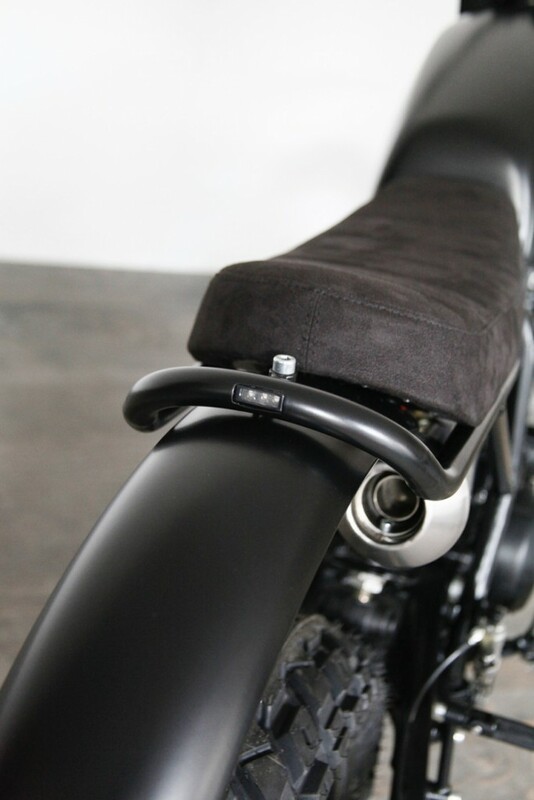 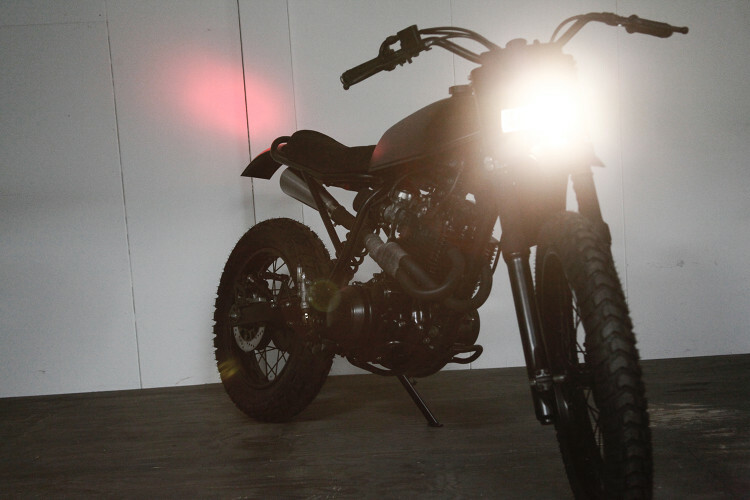 Below, we get the full story on this secret agent scrambler. 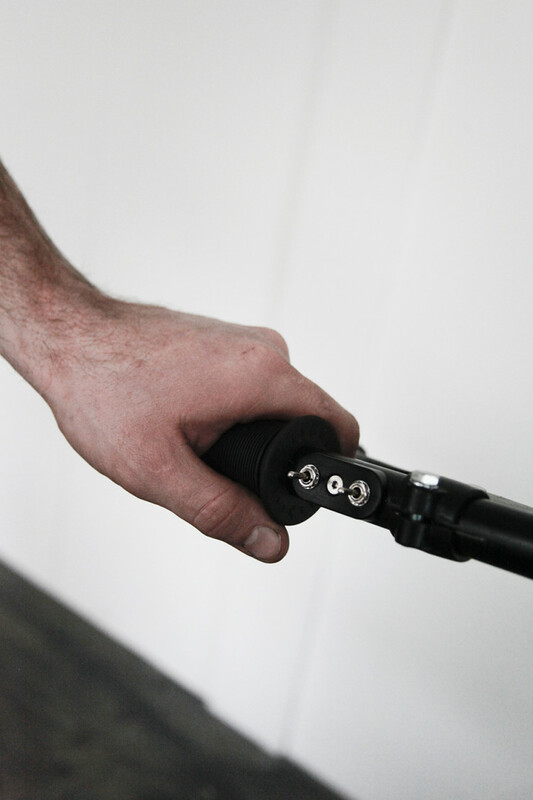 Boy Janssen, full-time autodidact bike builder for three years now, got my workshop in a small place called Rheden in the east of the Netherlands. Built my first bike about five years ago and now trying to make a living building original high quality customs. 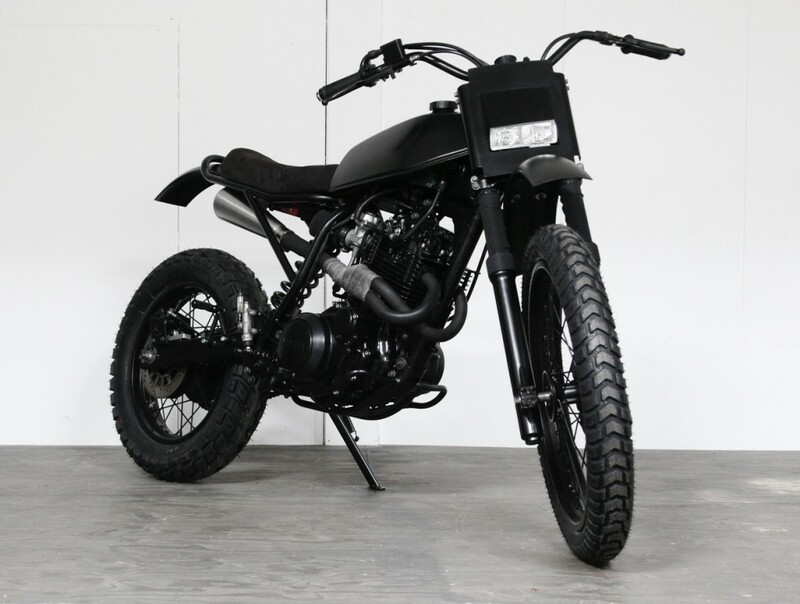 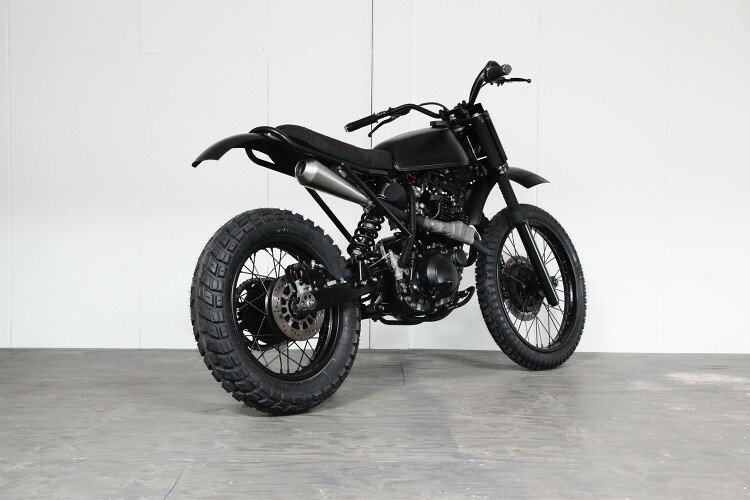 All purpose stealth scrambler on which even James Bond would be stoked to ride. 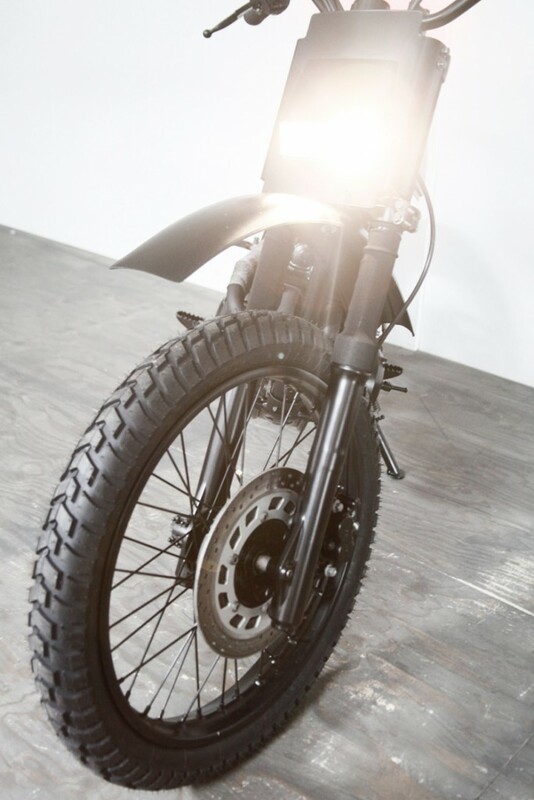 Especially stoked on the exhaust and headlamp. 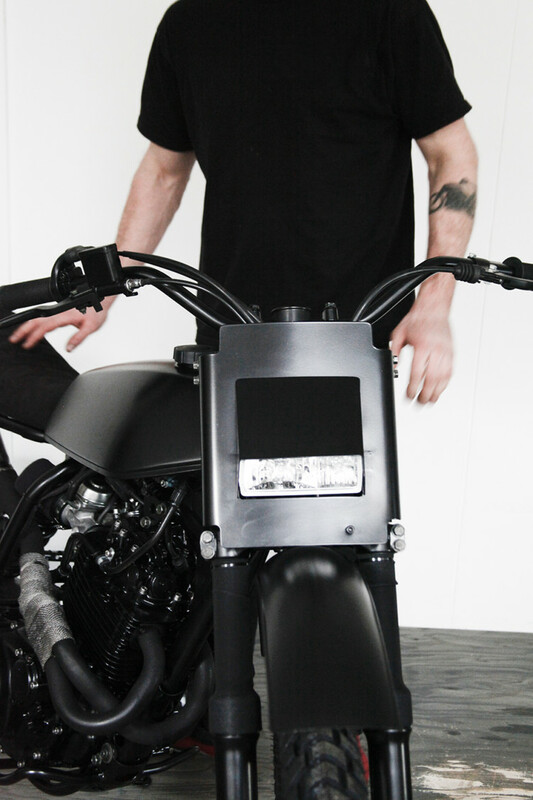 Special Thanks: Bas Janssen — Boy’s cousin who helps on the digital side of things.